PaddlePak is made from a waterproof, incredibly lightweight and durable material. 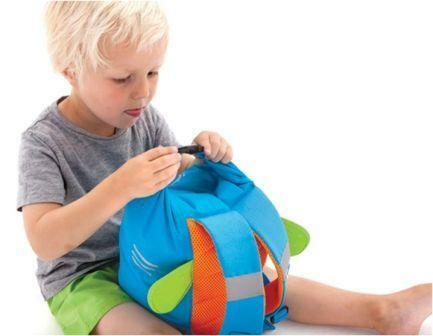 The bag has an ingenious roll top that creates a wide opening for easy packing. 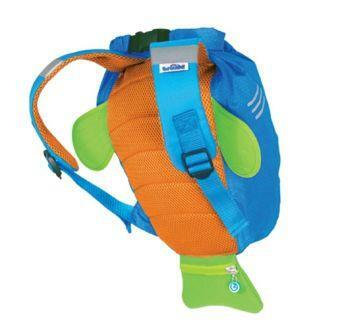 With 3 twists, the top creates a dry seal preventing wet contents leaking through and clips together with a break-away safety buckle. 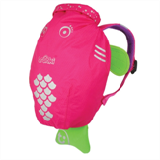 Also featuring a neoprene tail fin which doubles as a dry pocket, hi-visibility reflective trim and the unique Trunki grip™ to keep sunglasses or goggles close to hand. 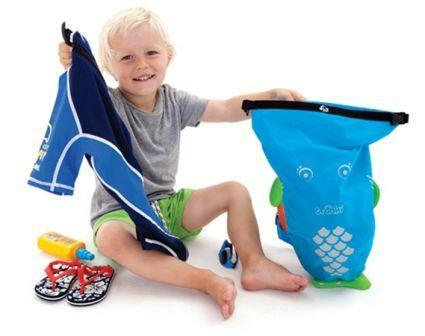 PaddlePak is the perfect partner for your little gulliver! 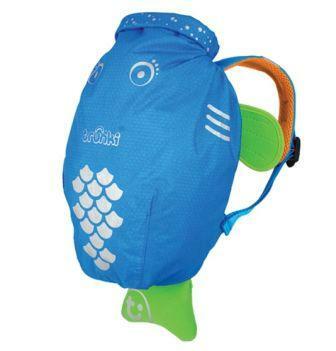 The Trunki PaddlePak is a smart and highly functional backpack ideal for swimming lessons or heading to the pool and beach, school sports, etc.